In 1988 she commenced an Art Degree Part Time. Her Hobbies are Sailing & Gardening and her favourite past time is consuming Great Food and Booze in the company of Good Friends. Sharyn lives in Parkinson with 2 dogs, 1cat, 1 crazy parrot and an understanding hubbie called John. She is further specialised in women’s health achieving both Diploma of Obstetrics & Gynaecology and Diploma of Faculty of Sexual & Reproductive Healthcare. Azima is a Mater aligned maternity shared care GP, offering a range of fertility and family planning services e.g. insertion/removal of intrauterine devices and contraceptive implants. She holds Certificates in Skin Cancer Medicine and Dermoscopy with the skin cancer college of Australasia, performing skin cancer checks and excisions. 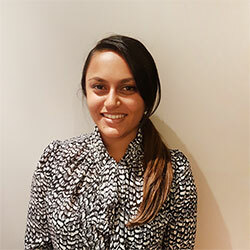 Azima also works with Brisbane South PHN (a government initiative) as a GP advisor and clinical editor, writing guidelines and care pathways to support local GPs, reflecting her ethos of providing current and holistic care to patients. Her other areas of interest include care of the elderly, managing complex and chronic health conditions, child health and performing minor surgery, including joint injections. Dr Sheen’s additional experience includes publishing over 100 papers in well-known international medical journals (accessible through PubMed). Further he has 20 years of experience being an oncologist and ENT specialist in Taiwan and now is interested in all areas of general practise. Since moving to Australia in 2003, Dr Sheen has worked in Redland Hospital and Mater Children’s Hospital. He then undertook his GP training in Kingaroy, Withcott, Toowoomba and gained qualification with the FRACGP. Dr Sheen has a special interest in ear, nose and throat diseases and head and neck tumours. Dr Sheen enjoys applying a holistic approach to medicine to enhance the well being of his patients. Dr Sheen speaks fluent Mandarin and Taiwanese. We are excited in having Dr Sheen and his vast experience join us in January 2016. Please contact our friendly staff at Sunnybank Hills Family Practice to arrange an appointment with Dr Sheen. Please note that Bulk-Billing is available. Graduated from the Tianjin Medical University in 1999 in China. He came to Australia in 2005, worked initially in Royal Darwin Hospital for 4 years and moved to Queensland in 2009. Dr Bai is a fellow of Australian College of Rural & Remote Medicine. He is also a GP Anaesthetist and has special interests in Emergency Medicine and Aeromedical Retrieval medicine. He has been actively involved in the college registrar’s training program. Dr Bai currently is still working part-time for Royal Flying Doctor Service Queensland Section as an FIFO aeromedical retrieval medical officer. Originally from India, moved to USA and did secondary and college there, went to Ross Universiy in Dominica and did her clinical training in different hospitals in USA. Moved to Australia 10 years ago, worked mainly in Mater Adults ED and Mater Mothers. Moved onto Ipswich hospital as ED PHO and for past 3 years done multiple role as ED doctor, GP and involved in case base learning and clinical coaching for year 1&2 medical students at UQ. Now focusing mainly on GP and UQ students. Outside of medicine, love to meet people from different cultures and travel the world while making difference in others lives. Dr Chai Speaks: English, Cantonese and Mandarin. Dr Benny Chan was originally from Hong Kong, but grew up locally in Brisbane. He obtained his medical degree at the Gold Coast and worked in Gold Coast Hospital and Robina Hospital prior to becoming a GP. He has a special interest in preventative health, cancer screening and minor procedures. He offers a range of services including implanon insertion/removal, skin and cyst excisions, ingrown toenail excisions and iron infusions. Dr Chan is aligned and registered for GP Pregnancy Shared Care, and has also completed additional paediatrics training including Diploma of Child Health. He is also a trained provider for the yellow fever vaccine. She has a passion for Childrens health, Womens Health and skin cancer care, as well as special interest in preventive healthcare and other minor surgical procedures. She has further completed the True National certificate in Reproductive and Sexual health, and is currently completing the Diploma of Child health. Outside of work she is interested in fitness, and is also trained as a professional Indian classical dancer. Dr Tony Arcibal is a Fellow of the Australian College of Rural and Remote Medicine (FACRRM) with Advanced Specialty in Adult Internal Medicine. Dr Tony Arcibal has more than 13 years experience in General Adult Medicine and Sub-specialties (eg Cardiology, Endocrine and Diabetes, Obstetric Medicine, Respiratory, Renal, Geriatrics, Infectious Diseases, Rheumatology, Neurology, Medical Oncology and Haematology, and Rehabilitation Medicine) in major hospitals in Queensland (The Prince Charles Hospital, The Royal Brisbane and Women’s Hospital for Renal, Mater Adult Hospital including Obstetric Medicine, The Townsville Hospital, Ipswich Hospital, and Logan Hospital). He has also 4 years experience in combined Emergency Medicine and ICU (both medical and surgical) in The Townsville Hospital (including Paediatrics) and Mater Adult Hospital. Dr Tony also been dealing with Paediatrics, Obstetrics and Gynaecology, Mental Health and Minor Surgery. Dr Nekooee has 24 years’ experience as a GP, and has special interests in chronic disease management, men’s health, paediatrics, aged care and travel health. He is fluent in Farsi and his hobbies include bushwalking and photography.